Yet another big shopping center is coming to Shelby County (and you can say you heard about it here first!). 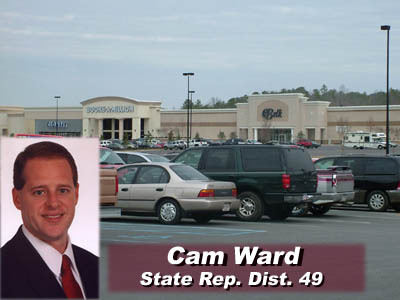 Thatâ€™s part of what we learned when we spoke with Cam Ward, our areaâ€™s State Representative. Besides his work on the legislative level, Cam also works closely with the City of Alabaster to promote economic development. We thought you would like to know the latest on whatâ€™s happening in our communtiy, and Cam is one of the best people to talk with. Click the player below to listen to our conversation with Cam, or click here to download.